The world of advertising is more demanding than ever. Luckily, programmatic makes meeting those demands simple. 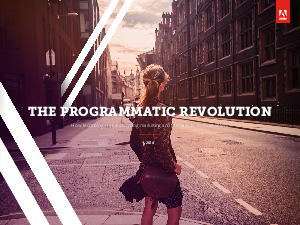 Read The Programmatic Revolution: How Technology Is Transforming Marketing and the Daily Lives of Marketers to learn how quality data, transparency, and automation can turn programmatic advertising into your greatest tool for success.